A bid battle over Australian infrastructure is defying market gravity. Takeover interest has kept shares in Asciano, the ports and rail operator, buoyant despite wider gloom. Now local rival Qube has formalised its $6.3 billion breakup bid, original suitor Brookfield is under pressure to respond or lose the backing of Asciano’s board. The broader selloff raises the stakes further. Qube has rounded up Global Infrastructure Partners, Canada Pension Plan and China Investment Corp for an intricate deal. 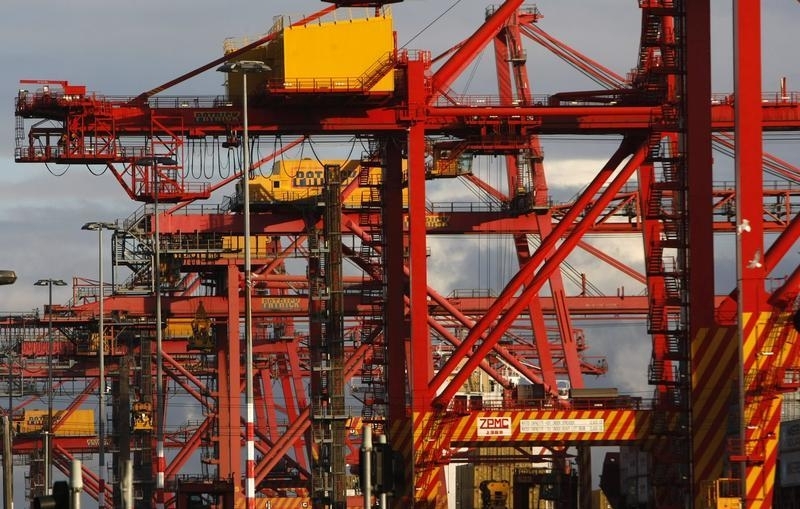 The $1.6 billion Australian group will take Asciano’s container terminals arm while the others will control the bigger rail-freight business. A vehicle owned by the investment trio will look to dispose of a third smallish unit, which loads cars onto ships. The consortium is offering A$6.97 in cash, plus one Qube share, for each Asciano share. That should be good enough for the target’s directors to switch their recommendation. Based on closing prices on Jan. 27, Qube’s offer is worth A$9.08 a share, or about 3.5 percent more than Brookfield’s bid. And the deal goes ahead if just 50.1 percent of shareholders sell – so Brookfield’s near-20 percent shareholding in Asciano does not give it the power to block its rival. However, Brookfield does have five working days to match or beat a superior counterbid. The fact that it has already altered the deal to soothe competition regulators shows how keen it is to secure this prize. It could now return with a higher price to keep Asciano’s board and investors onside. More cash would help, too. Though the bidders are offering similar amounts of paper and hard currency, Brookfield’s securities lack voting rights and some other safeguards typical in ordinary shares. Still, Asciano shareholders cannot be too greedy. Given the despondency about China, commodities, and world growth, times are hard for companies that depend on global trade and Chinese hunger for raw materials. Shares in Aurizon, Australia’s largest rail-freight firm, have crashed 35 percent in two months. Doubtless both suitors reckon they can look past short-term market noise to strike carefully costed infrastructure deals that should pay off over decades. Maybe so. But the bigger the disjuncture with public markets, the bolder the bet looks. Australian port operator Qube Holdings on Jan. 28 made a binding offer worth A$8.9 billion ($6.25 billion) to buy and break up ports and rail group Asciano. Based on Jan. 27’s closing prices, the cash-and-share offer values Asciano at A$9.08, compared with a friendly takeover bid from Brookfield of Canada, which Qube said was valued at A$8.77 a share on the same basis. Qube is working with three heavyweight investors: Global Infrastructure Partners, the Canada Pension Plan Investment Board, and China Investment Corp. CIC was not part of the consortium when Qube made an indicative proposal in November. Asciano shares stood 3.1 percent higher at A$8.76 by 2:15 p.m. [0415 GMT] in Sydney. Australia’s antitrust regulator is reviewing both potential takeovers, with a Feb. 18 deadline.